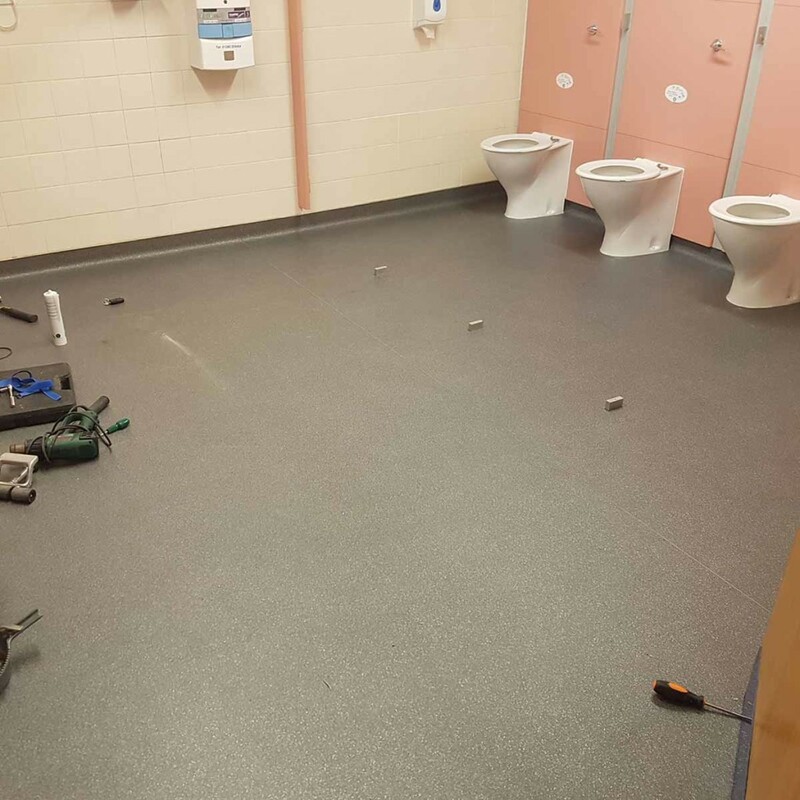 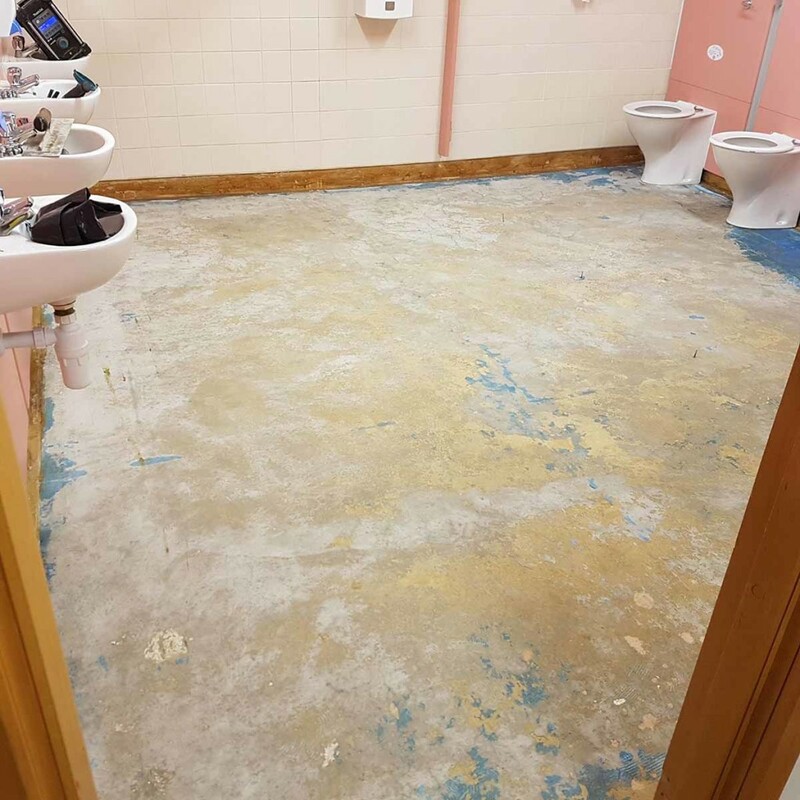 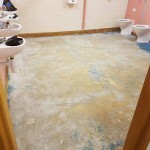 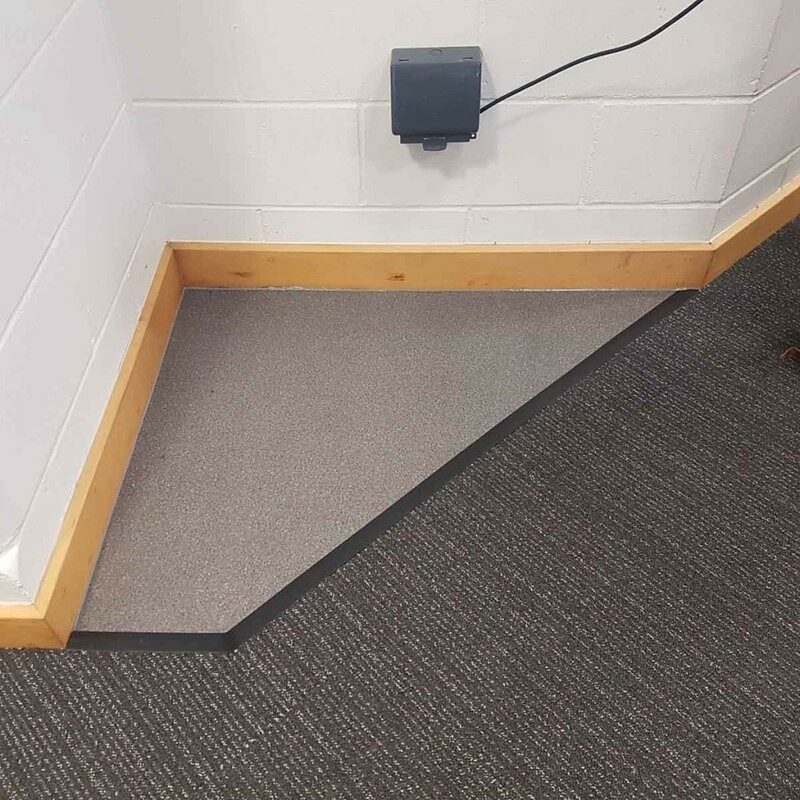 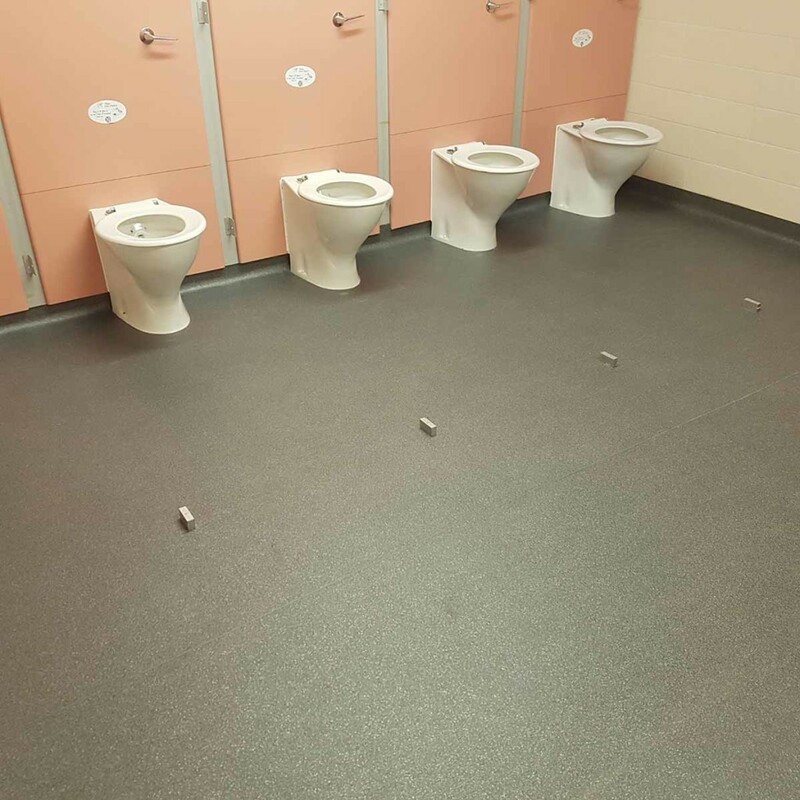 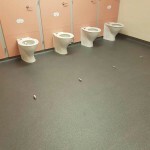 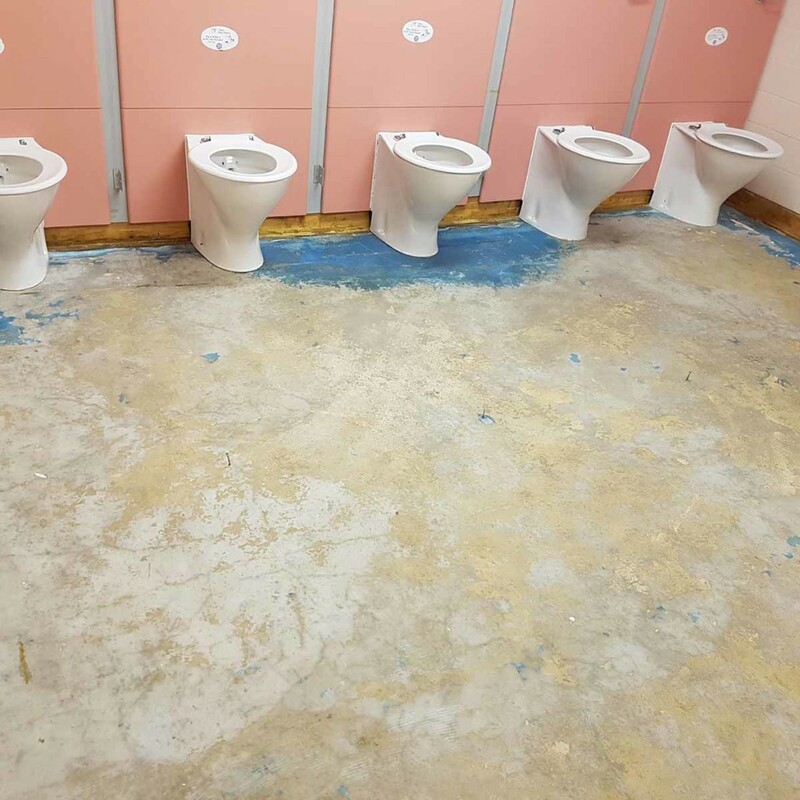 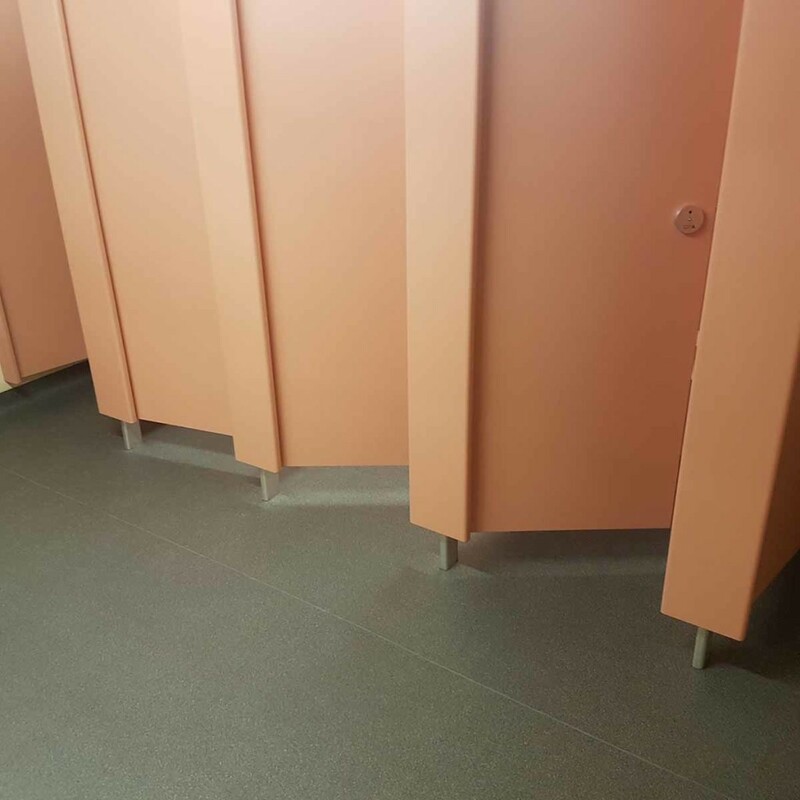 For Northampton Girls School, we needed to take down cubicles, then strip up old floor. 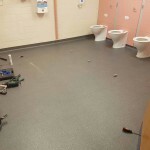 Latex floor to level it out then supplied and installed Polysafe Modena non slip flooring. 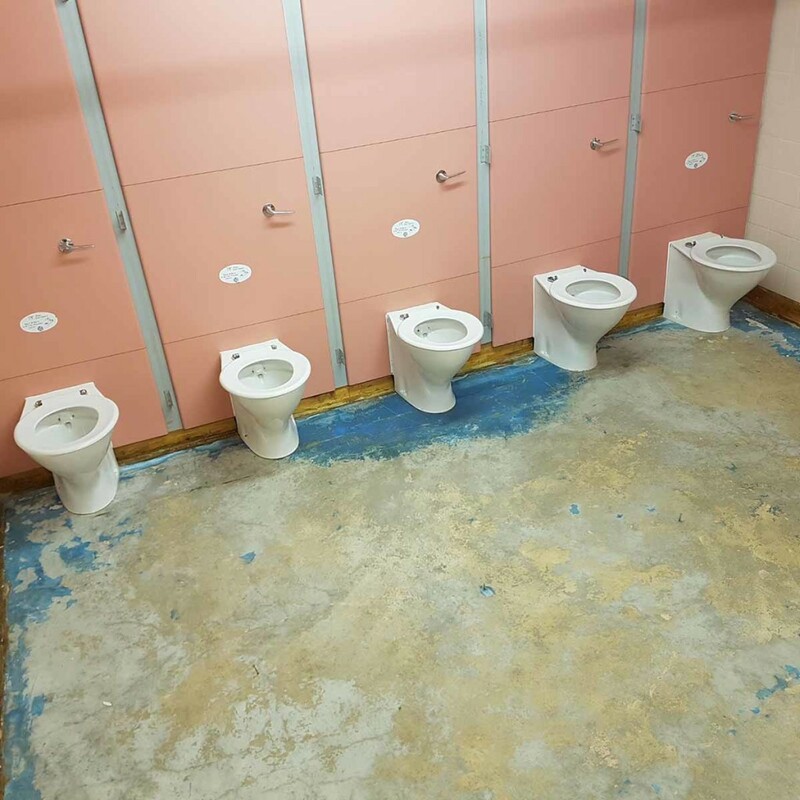 Then the cubicles had to be put back up again.